Time-Lapse Video from 7 July 2011. View is towards the west. 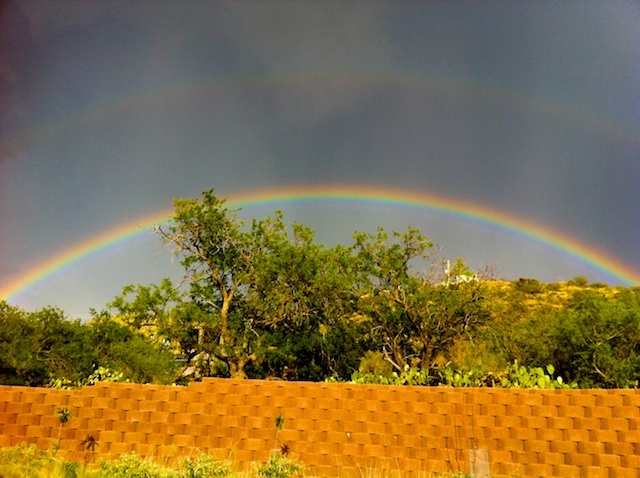 Double rainbow to the east as sunset approached. 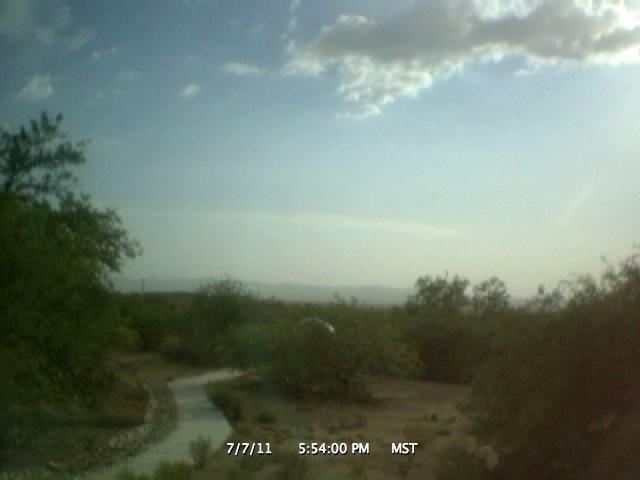 The storm hit a few minutes later, as seen at 6:04 PM MST in the video.